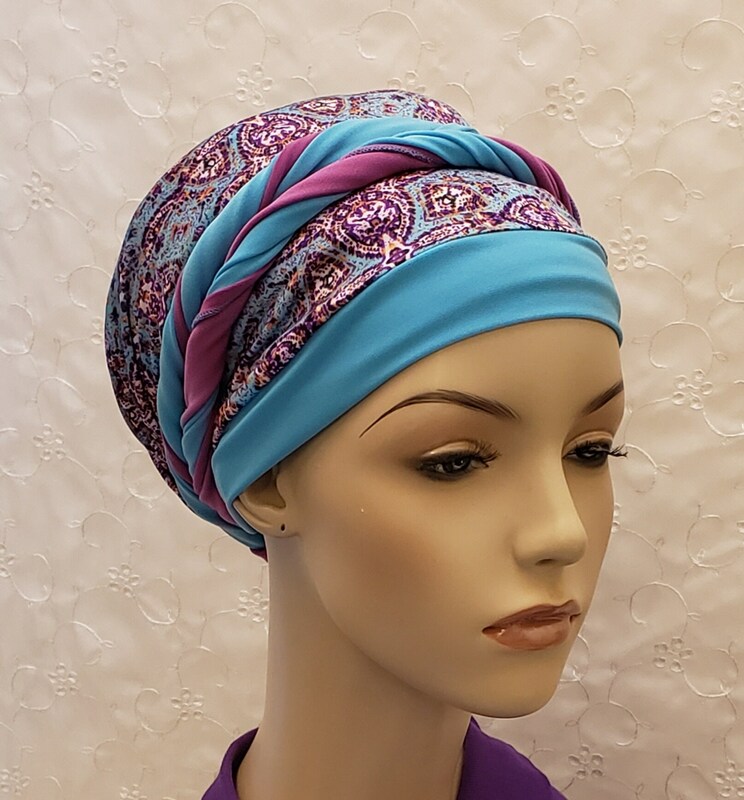 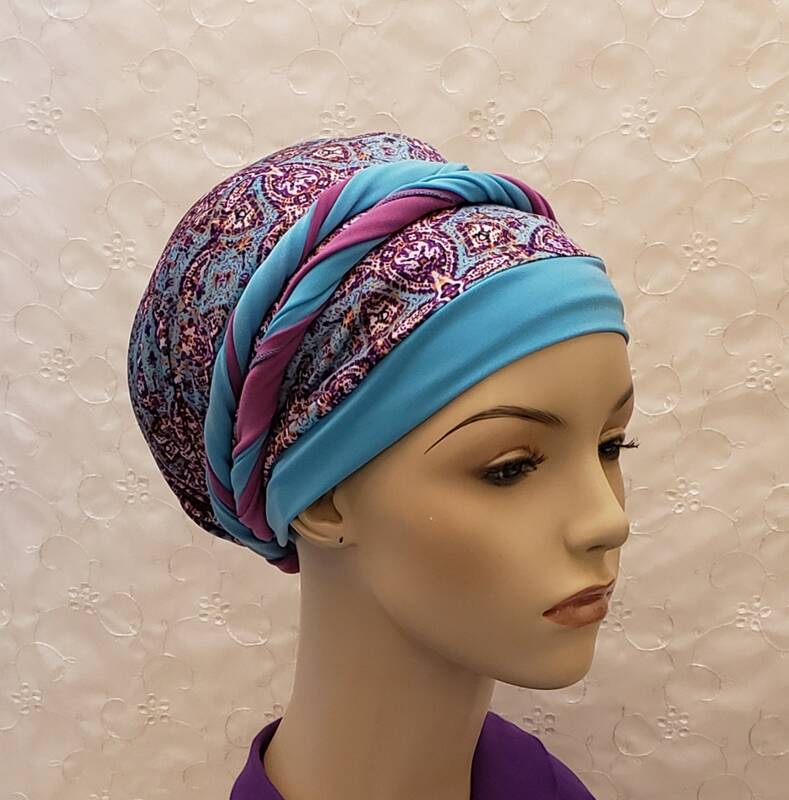 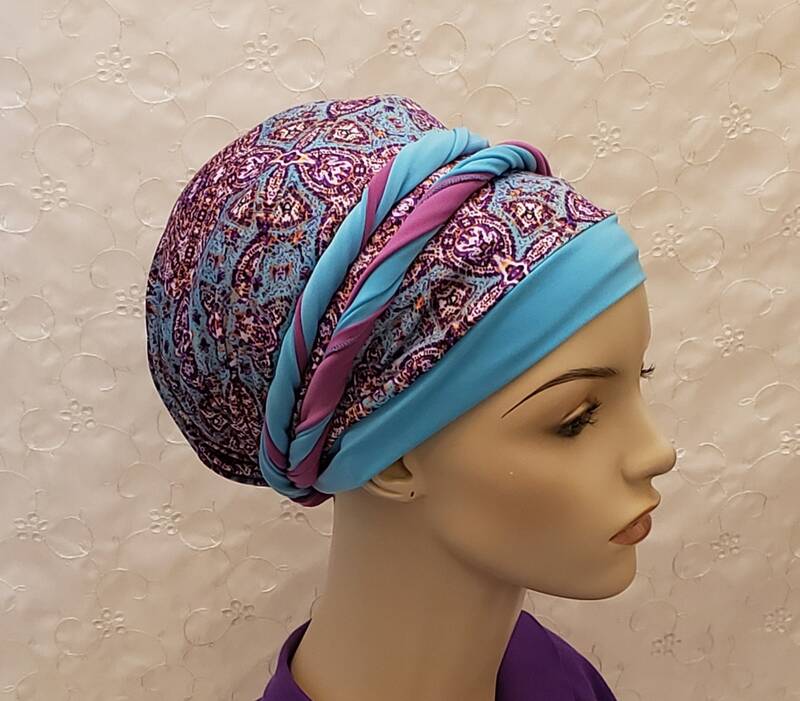 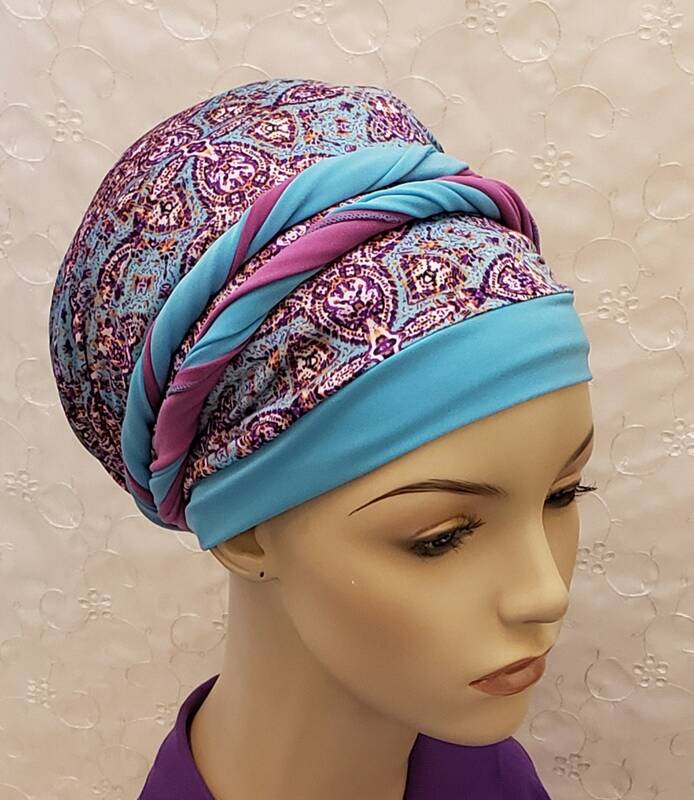 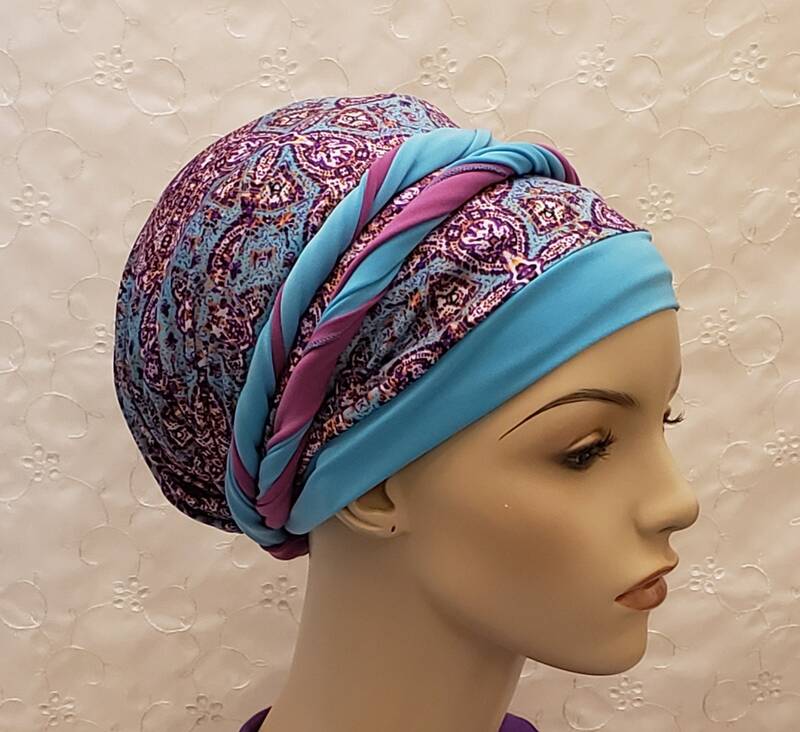 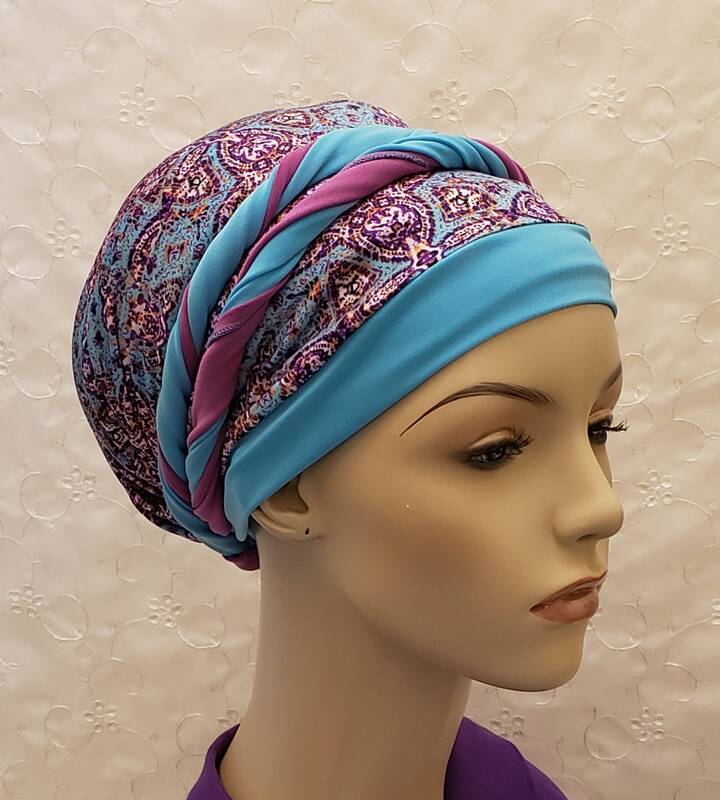 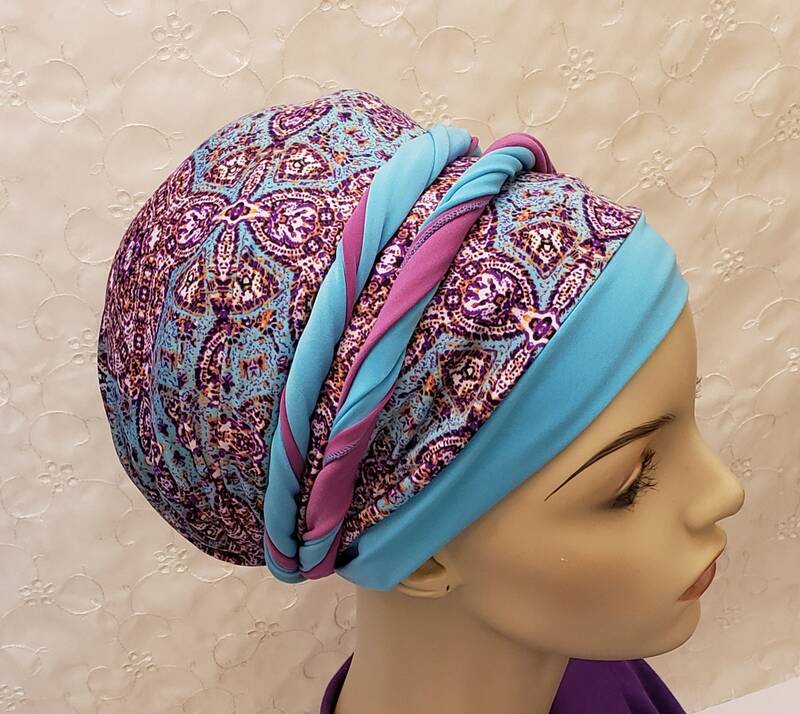 Royal sinar tichel in rich shades of purples and bright turquoise blue with self twist ties! 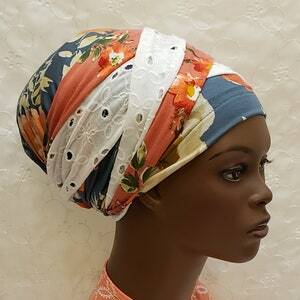 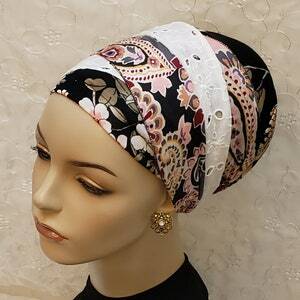 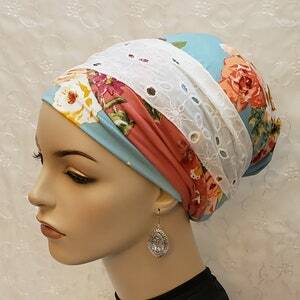 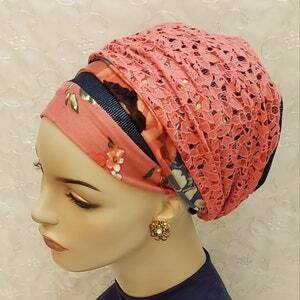 Easy to wear sinar apron style tichel. 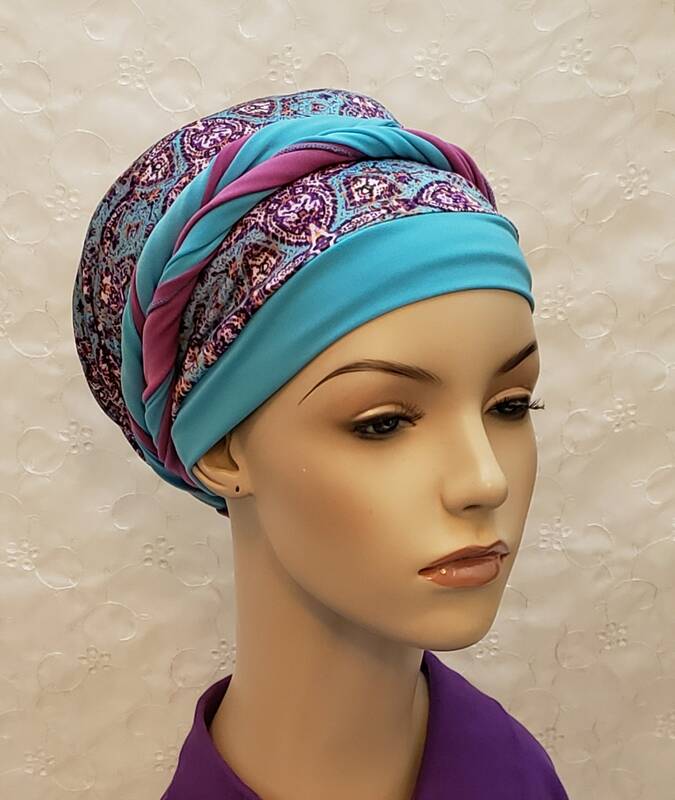 To get the look in the pictures, twist the ties as tight or loose as you like, then cross over your head, tie and tuck or just tuck!